The Enduring Beauty of the Golden Gate Bridge | My "Marketing Nirvana"
Well, the Golden Gate is my favorite all-time bridge in the world. 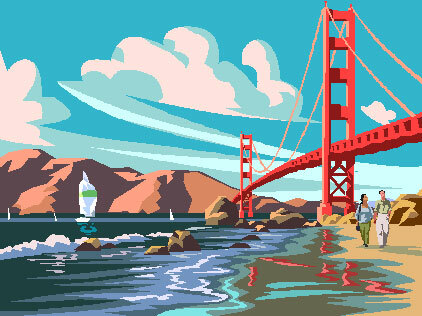 When I was growing up, my family would go up to San Francisco to visit with my uncle and auntie. Any time I see the Golden Gate, I think of two of my favorite people and be so happy to see them. It is such a beautiful site to see and truly a piece of art. Happy Anniversary Golden Gate! The Golden Gate Bridge evokes a sense of strength and security as it spans the Bay; its unique color makes it memorable. It is one of my favorite bridges.